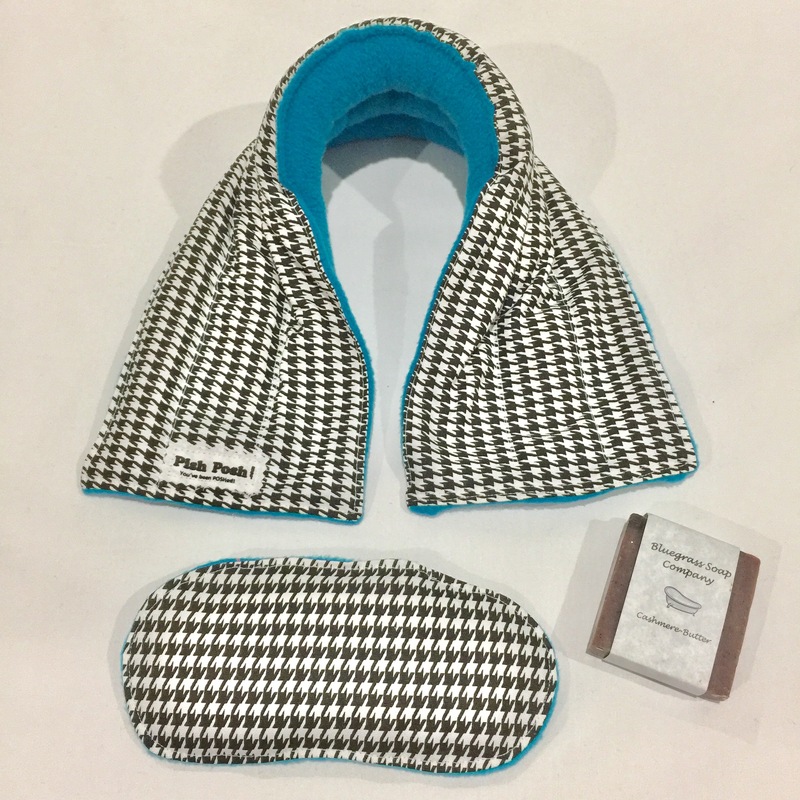 Pamper yourself or someone special with this amazing Thermal Neck Wrap, Eye mask, and locally handcrafted soap set. 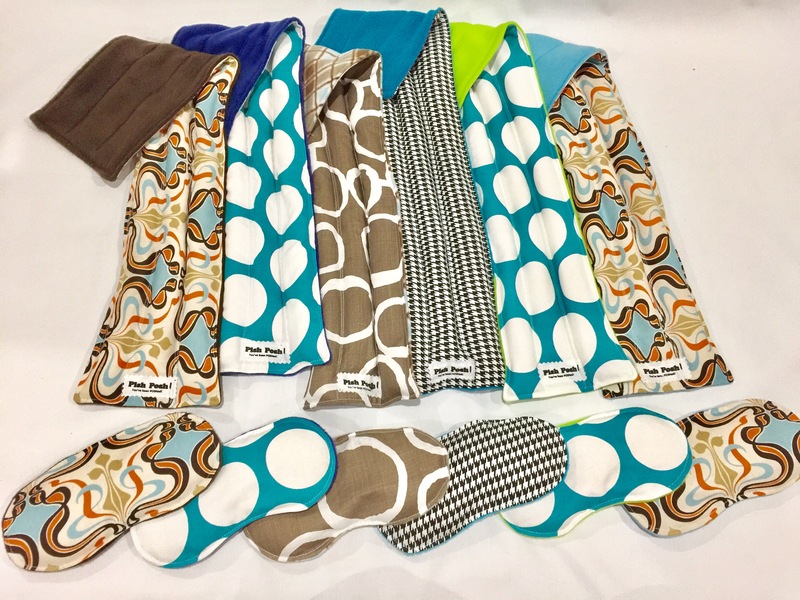 These Heatable Thermal neck Wraps and Eye Masks work wonders to ease muscle tension and fatique. Or place them in the freezer to help ease swollen, puffy eyes or battle wounds from playing too hard. 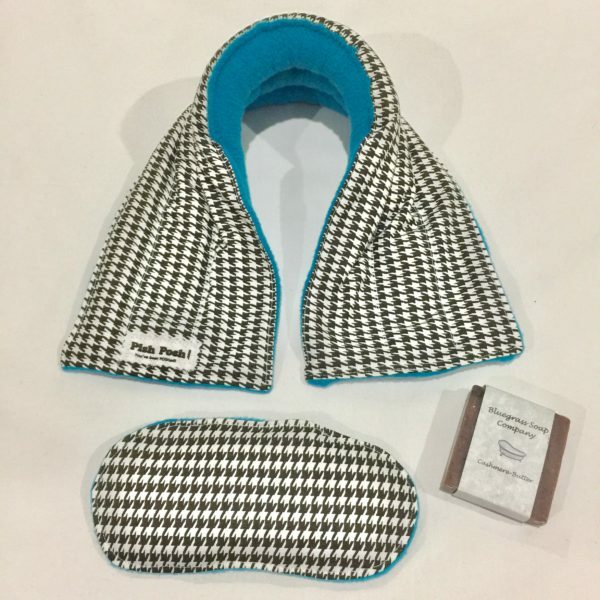 Neck Wraps and Eye Masks are filled with rice so they can be heated and reheated over and over again. Soap scents may differ from what’s pictured due to availability and seasonal scents.